Last Thursday while my cousin was coming for holidays from KL, my uncle brought us to Queensbay Mall have the last day dinner at Penang. So we decided to have our dinner at Pizza Hut at Queensbay Mall. This was my first time ever been Pizza Hut, Queensbay Mall. As well as I seldom eat fast food and almost ate the cooked food at hawker stalls or wherever. 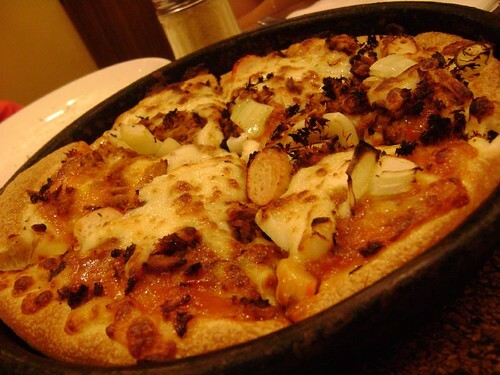 This is the pizza that we have. This Pizza called Tropical Chicken It's a tropical mix of refreshing mango-infused cool lime dressing, chicken loaf, corn and onions. Information from pizza hut official website. 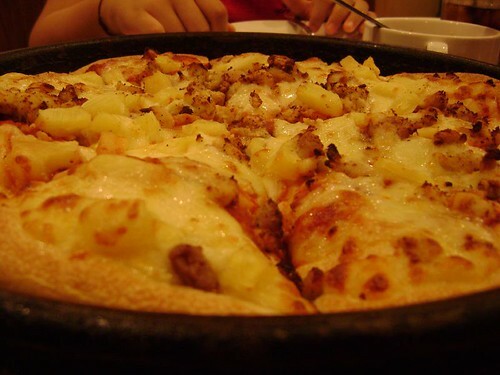 Besides that, we also have the new Waikiki Pradise Pizza. 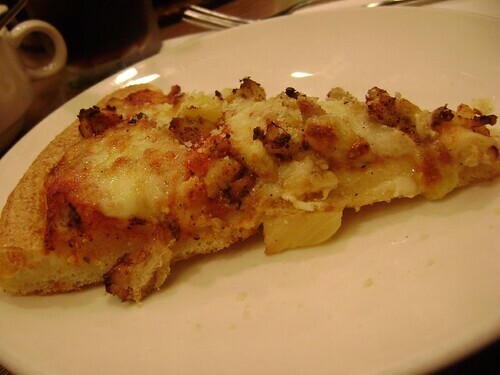 It contains special Hawaiian treat of pineapples, chicken loaf, beef cabanossi, ground beef and onions. 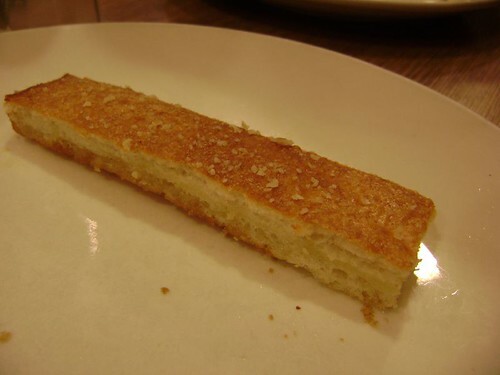 This is a piece of Tropical Chicken that I have. 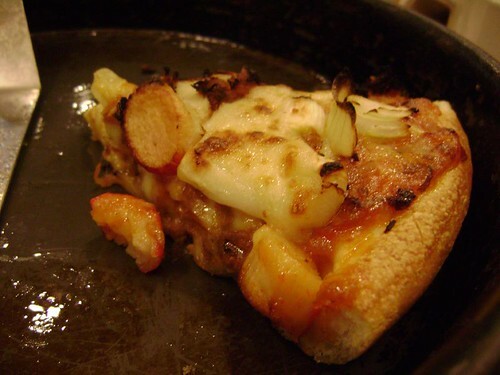 I put on the cheese powder and much of pepper. It's seems so tasty and delicious! I like much of pepper so I get it much against! I didn't have the chance to taste this because this piece is my cousin and I just only can recommend him to put more pepper powder will get more tasty smell and more delicious. He like the cheese powder very much and put it much until the cheese powder become half of the bottle! 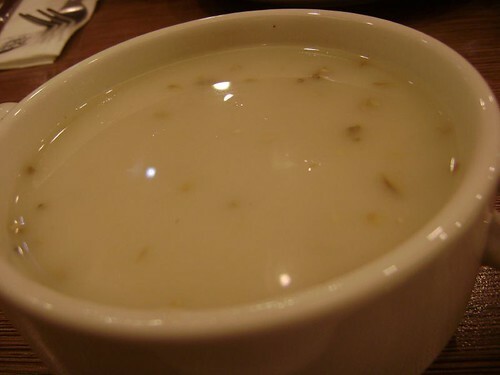 Here is my mushroom soup. I wondered that now Pizza Hut no longer for you to serve yourself in mushroom soup. I think is maybe some people is more greedy and take it as more as they can. Mushroom soup is the choice of kids! I like the chicken wing at Pizza hut. Yummy!